Michael Sragow. Victor Fleming: An American Movie Master, Pantheon, 2008. 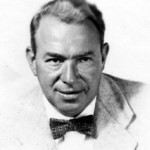 This well researched biography of the prolific Hollywood Golden Age movie director contains a chapter about Fleming’s contributions to The Wizard of Oz in which Yip’s role in that production is discussed from a fresh perspective.